Students and learners who turn to energy drinks to keep them awake and their minds active while they study for long periods risk damaging their health. 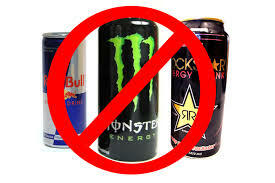 During examinations learners may want to stay charged and active, and some need to stay awake into the night but are only able to do this with the help of energy drinks – which contain a lot of stimulants and sugar. “I personally prefer Score energy drink. It’s cheap and I can get a 550ml can for only R10. At times I use Bioplus sachets, and these boosters help me stay awake for longer hours. But what I have noticed is that after staying energized for longer, when the booster is no longer in my system I get extremely exhausted. And then I use my pocket money to buy a six pack so I can keep awake,” said 17-year-old Qaqamba Duka, who is a grade 11 learner. According to the SA Sports and Energy Drinks Industry Landscape Report compiled in 2017, the amount of sugar contained in Bioplus is 31g per 250 ml, Monster Energy has 27.5g per 250 ml and Power Play has 29.25 g per 250 ml. Nutritionist Mpho Tshukudu said leaners writing their exams should stay away from energy boosters as they contain unhealthy amounts of sugar. “Energy drinks contain sugar, which is refined carbohydrates. They boost energy boost levels because blood sugar levels rise quickly, and last about 30 minutes. But because there is such a large amount of sugar the body will quickly process it into fat – so it’s not a form of sustained energy. Eating something light like wholegrain bread or fruit with yoghurt and nuts will certainly give one a sustained amount of energy,” he said. “When refined sugar levels rise and then suddenly drop, it affects concentration, so energy drinks are not the ideal product to have while studying. Energy drinks also contain lots of caffeine which is not supposed to be consumed by a child as their brains are not yet fully developed. Yes, they will keep one awake, but they will interfere with the amount of information a brain can retain,” Tshukudu explained. He advises leaners to make sure they have good amount of sleep, as not having enough sleep interferes with concentration. – Health-e News.